This form should not be used for communication with a physician, nor should it be used to ask questions about specific patient issues or concerns. If you need to contact someone about an issue and would like to speak to someone over the phone please call (724) 223-3006. Is there an employee, a unit or an outpatient facility you’d like to recognize by name? Have a photo you’d like to share with us? Upload a photo (optional) Photos must be jpegs and have a 5mb limit. 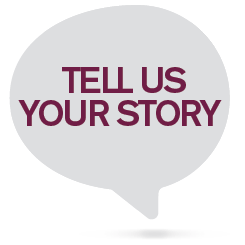 Would you be willing to share your story with others, publically? YES, please contact me about how I can help by sharing my story. (Note: No stories will be shared unless someone has reached out to you and confirmed how they will utilize the story.) NO, thank you. I just wanted to share my thoughts with your internal staff and leadership. Please note that the information that you share may become public and that the platform used to convey your experience is not encrypted. Accordingly, please do not share personal health information that you may wish to protect or to keep private.